During the last two weeks we saw a lot of photos leaking from HMD/Foxconn about the upcoming higher end devices. We saw the leaked display panels of Nokia X7 and Nokia 9 featuring no notch, even though early rumors about Nokia X7 suggest that the device will feature a notch. 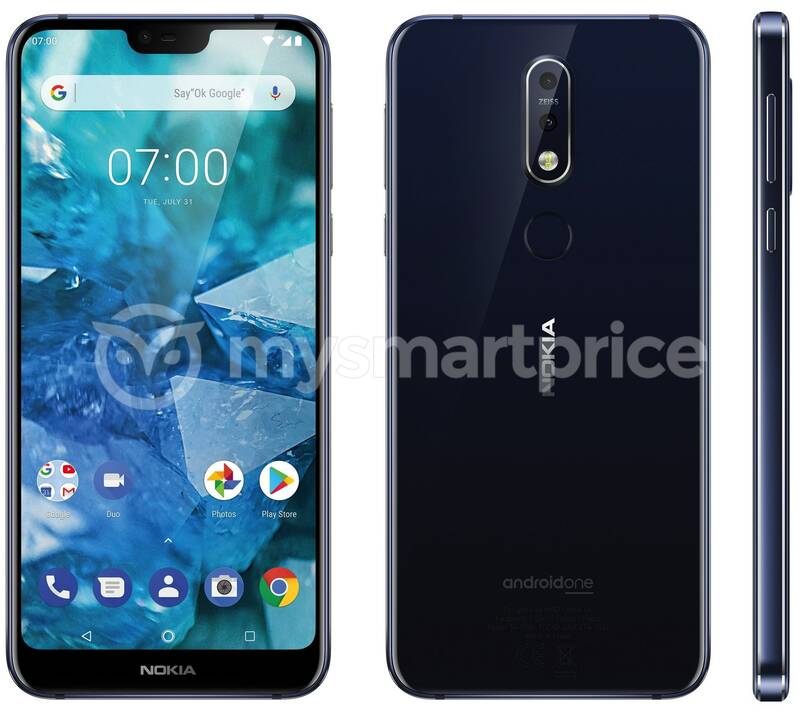 Today, mySmartPrice.com shared a render of a notched Nokia device that they claim to be the Nokia 7.1 Plus (or X7 in China). The unconfirmed info floating last few weeks really complicates the situation, because we know that we have three different devices that allegedly leaked – Nokia X7 with notch, Nokia X7 without notch and Nokia 9. It could be that the leaked notchless displays are from Nokia 8.1 and Noka 9, while the X7 will indeed have a notch. Other option is that the above render is Nokia 7.1 – which could make sense considering the clock shows just 7.00 and not 7.59 like on the 7 plus. Anyways, we will be sure only when HMD announces the device(s).